Slip and fall accidents lead to thousands of injuries every year. Some situations cause minor broken bones and sprained muscles. However, falls are also a leading cause of traumatic brain injury and spinal cord injury. They are particularly dangerous for older adults or individuals with certain medical conditions, like osteoporosis. 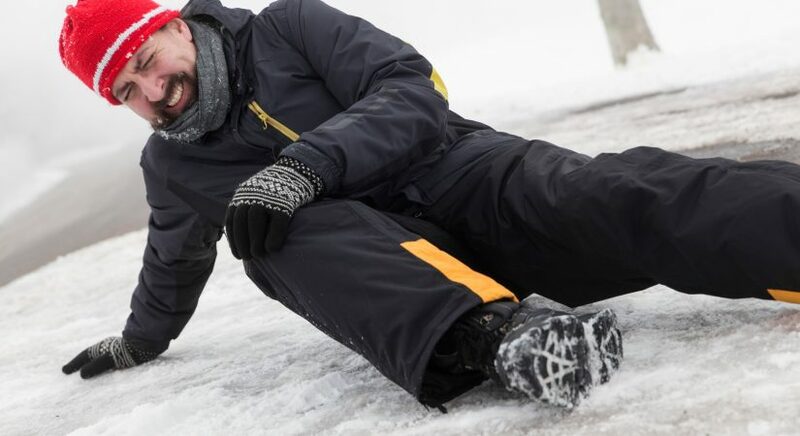 If you were injured in a slip and fall accident caused by another person or the actions of a business, you may have the right to gain compensation. To learn your legal options, you should speak with us, The Law Office of Christopher G. Findlater. Your medical records: After a slip and fall accident, if you are injured, you should seek medical treatment immediately. [However, you should not seek medical treatment, if unnecessary, and you were not injured.] If you did not go to an emergency room at the time, make sure to see your general practitioner, as soon as possible. Once you have a doctor’s examination, tests or scans, and any initial treatments completed, you should have a better idea of the injuries that were caused by the slip and fall and your resulting medical expenses. Bring a copy of these medical records and bills to your attorney consultation. Video or pictures: If you, a family member, friend, or another witness recorded a video or captured a photo of the actual accident, where the accident took place, or the aftermath of the incident, you should obtain these and bring them to your consultation. These items can be particularly helpful if your situation is complex and hard to describe. Also, take any pictures of any injuries immediately after the accident, if capable. Take pictures of your footwear. Preserve your footwear, in the condition at the time of the accident, if possible. 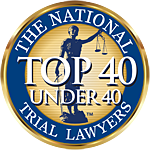 It is best to contact an attorney immediately, so that an attorney, upon accepting your case, can send a preservation letter to preserve any surveillance footage, if appropriate. However, if there is a delay between the days it takes to retain an attorney and the fall, one may consider telling the manager to preserve any surveillance and/or evidence, if you believe there to be any, until more can be done. Surveillance systems sometimes automatically erase their footage, after several days or weeks. If the company fails to take steps to preserve evidence, after receiving sufficient notice that there may be a claim, a motion could be filed during a lawsuit to hold that against them, which, if granted, could have negative effects on their ability to defend a lawsuit. Incident report: If the fall occurred at a business and a manager/supervisor was notified of your accident, the company will likely generate a report regarding the incident and each person’s involvement. It is important to notify management of the incident, if there has been a significant accident, in order to have your incident documented, but to also make sure that the same thing does not happen to someone else. While you do so, be careful and mindful about what you disclose. You may also ask them to generate a report. They may ask you to provide a statement with your version of how the accident occurred. If you choose to fill out a part of the incident report, keep your statements general, short and accurate. The point is to get the incident documented. More details can be given later. You should also think about asking for a copy of the report. It is not required that they give you a copy before a lawsuit has been filed or without being under the compulsion of a subpoena or a discovery request for production of documents. However, to resolve and settle the issue and/or appear reasonable, they may cooperate. Still, keep in mind, if it is no longer the same day and you are not in the hospital, your focus should be on obtaining a personal injury attorney, so that the attorney can get started on your case right away. An attorney will investigate and, if you have a case, will likely submit a demand package, including a thoroughly written statement, as to why you deserve to be compensated. If it is days later, and you are contacted by the insurance company, consider not providing a recorded statement and giving yourself time to talk to an attorney. There is no need to return their calls immediately, especially if you plan to retain an attorney. Any response from the owner of the premises: If between the time you have retained an attorney and your fall, you have been in contact with the owner or manager of the premises where you slipped and fell, you should bring copies of any written correspondence. Even if you believe an email or letter does not matter, it may be important to your attorney. You should expect that any communications previously made may be revealed during a lawsuit, even if they are ultimately deemed inadmissible, and your attorney will want to know such communications exist. Obtain witness information: It may be difficult to think about getting any witness information after you have fallen, given the unexpected nature of your recent experience, but if there were people who saw the incident, get their name and phone number or other contact information. You should consider asking them about what they saw. It is important to remember that your discussions with people are likely subject to disclosure. Again, if this witness information was not obtained shortly after the accident, contact an attorney, so that they can get started on doing this for you. The attorney will be able to do an investigation. This way, the evidence is gathered without you having to make unnecessary disclosures that could be misconstrued and used against you. Still, if you have basic information like a name and number, it easier for your attorney to follow up with any witnesses, as part of their investigation. Date and time: It may seem obvious, but make sure to do something that will help you recall the date and the exact time, to the minute, the accident occurred, and if possible, how long the condition may have existed (i.e. contemporaneous comments made by employees regarding work in that area or inspections of that area) . A clear, concise timeline can be very helpful in the context of a slip and fall, where one may be needed to determine how long a condition could have possibly existed for the landowner to have taken notice. While it may be known as a slip and fall case, an injury resulting from a fall on another person’s or business’ property is a personal injury case based on premises liability. Under Virginia’s premises liability law, landowners owe invitees – individuals who have permission to be on the landowner’s property for business dealings– a duty of reasonable care. This duty requires that the person or business maintain the premises in reasonably safe condition, including picking up objects from the floor, cleaning up spills, or warning people about hidden hazards. If a hazard was not created by the landowner, the landowner must have sufficient notice and time to attend to the hazard to be held responsible for failing to address it. When an owner fails to properly maintain the premises in a reasonably safe condition, repair dangers or eliminate hazards after sufficient notice, and/or warn about concealed hazards, then that owner is negligent toward his or her invitee. The documentation you provide an attorney, if retained, will guide him or her as to how to investigate the accident and build a case against the property owner based on negligence. Photos or videos of the accident or environment can directly support a breach of duty by showing a dangerous condition on the property. You will want to check to see if there were any warnings. If there were no warnings or signs, take pictures or have an accompanying friend take pictures of the surroundings to indicate the lack of signage at the time of the accident. As mentioned, your medical records offer proof of a physical injury and financial loss. Slip and fall or trip and fall cases are generally difficult cases, as the law presents certain challenges to a successful judgment. There are defenses that can prevent one from recovering anything. Time is of the essence, and it is in your best interest to contact an attorney as soon as possible, who knows whether you have a case and can evaluate if any defenses may be applicable to your case. If you were hurt in a slip and fall accident, do not hesitate to reach out to the Law Office of Christopher G. Findlater. Click here for a free consultation. Disclaimer: The information in this article has been provided for general information purposes only. Every case has its own set of particular facts and the law must be analyzed, according to those facts, to reach any reasonable conclusions. The information provided is not intended to and does not constitute legal advice, and does not create an attorney-client relationship between you and The Law Office of Christopher G. Findlater. No attorney-client relationship is formed unless specifically agreed to in writing. For legal advice, please consult with an attorney pertaining to your case and particular circumstances.